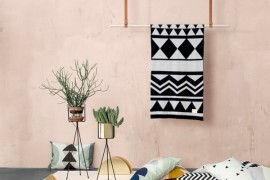 The spring collections have been in stores for months now, and for many major retailers, the summer collections have already arrived–it’s a great time of the year to reflect on the top trends of 2014. 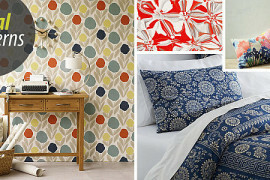 Today’s post is dedicated to three popular fabric patterns that are modern, eye-catching and cutting edge. 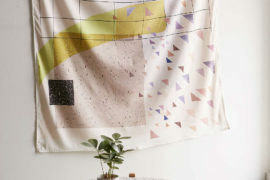 Check out the prints that follow and see what captures your attention. 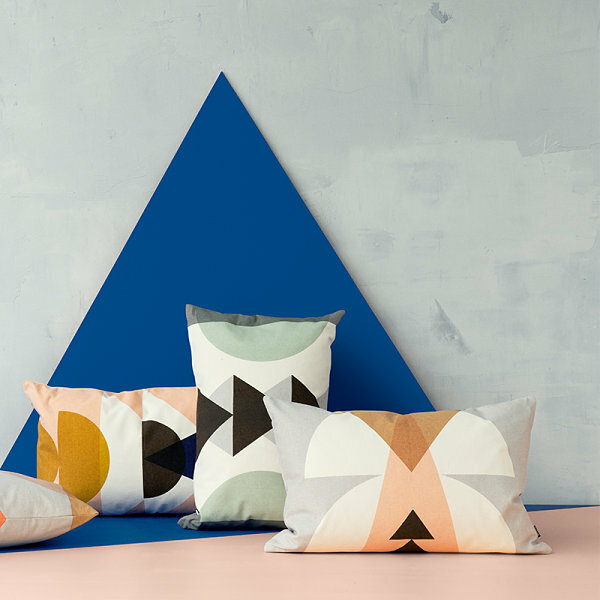 We think you’ll agree that this season it’s all about geometry! 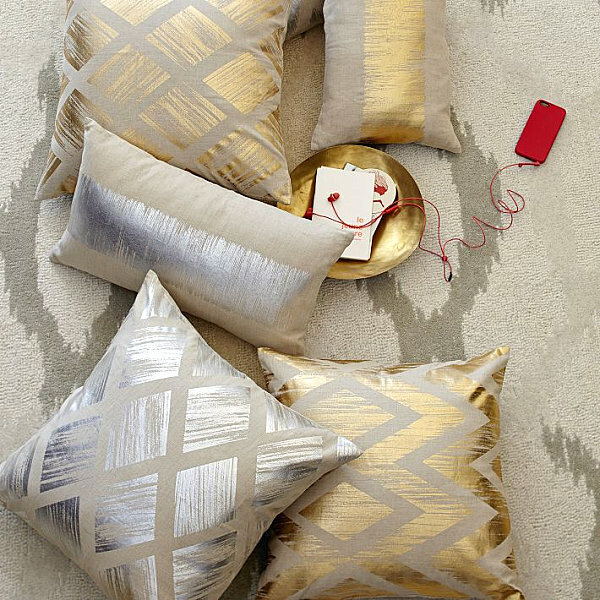 These Metallic Diamond Pillow Covers from West Elm are some of the modern retailer’s most fetching new finds. 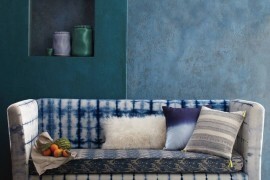 The blend of natural linen and shiny forms is enticing, especially since the pillow covers feature a pattern based on the artwork of renowned British designer Sarah Campbell. So glam! 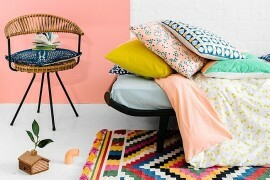 Once again we have an interplay of triangles and diamonds with the Mountain Lake Cushion from Ferm Living. 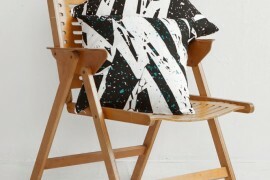 Two reasons to love this pattern: the striking colors and the fact that the design is hand printed. 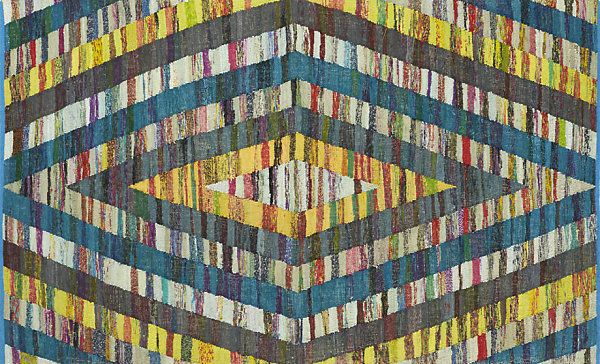 The diamond-studded fun has even reached the realm of rugs, thanks to designs such as the Marque Chindi Rug from CB2. A blend of geometric diamonds and freeform bands, this item can blend with a variety of styles, from the earthy and tribal to the contemporary and trendy. Next up: the plus sign. 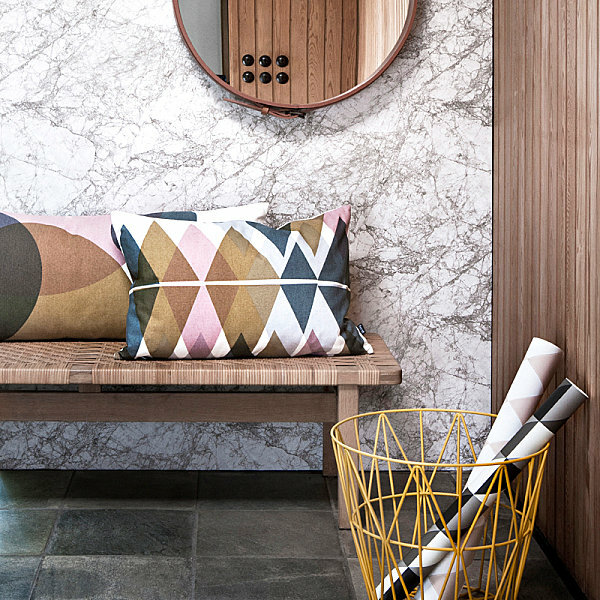 It’s hard to put our finger on exactly why this design is becoming increasingly popular, but there’s something modern, symbol-based and “pop art” about the plus pattern, also known as the cross pattern. 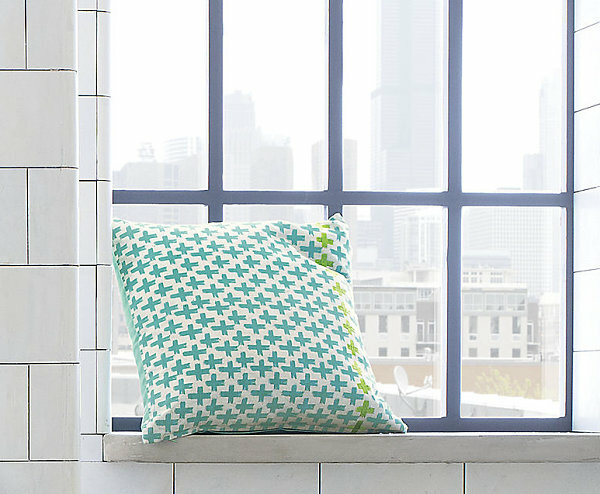 Below we see the Bisect 16″ Pillow from CB2, embellished with hints of bright green for some playful variety. There’s nothing light bright red forms against a white background! 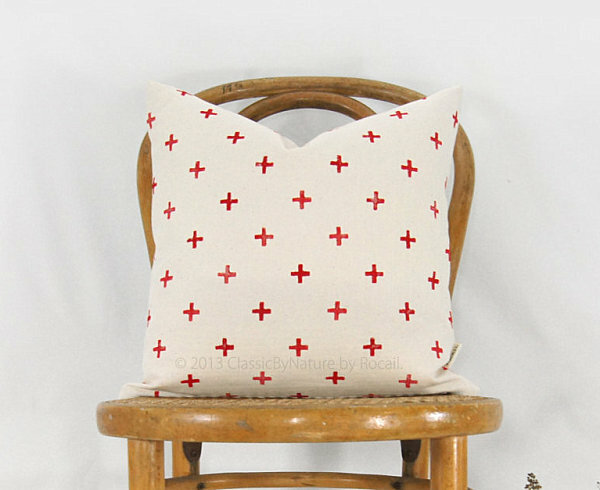 This Red Cross Pillow from Etsy shop Classic By Nature features a hand-printed design created by a wood block printing technique, which results in a stylishly uneven texture. 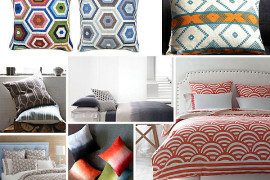 Jonathan Adler is no stranger to plus sign popularity. 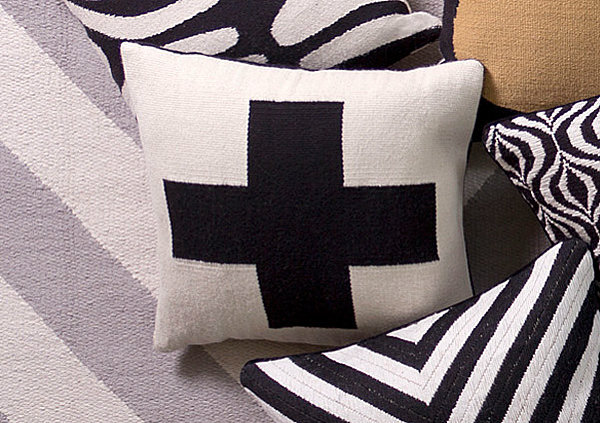 For years he’s embedded this symbol in one of his most popular geometric patterns. 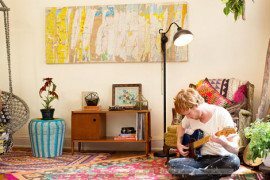 Below we see the designer’s Striped Richard Nixon Alpaca Throw , which blends the plus print with a blue-and-white stripe motif. 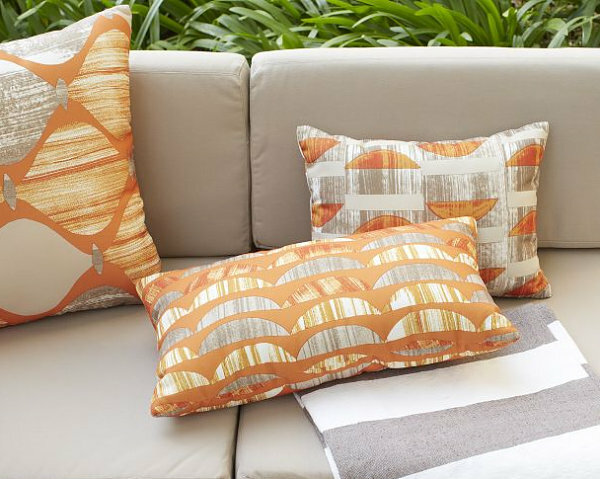 The Outdoor Wood Grain Crescent Pillow from West Elm combines shades of orange with a warm gray tone in a design inspired by Mid-century patterns. 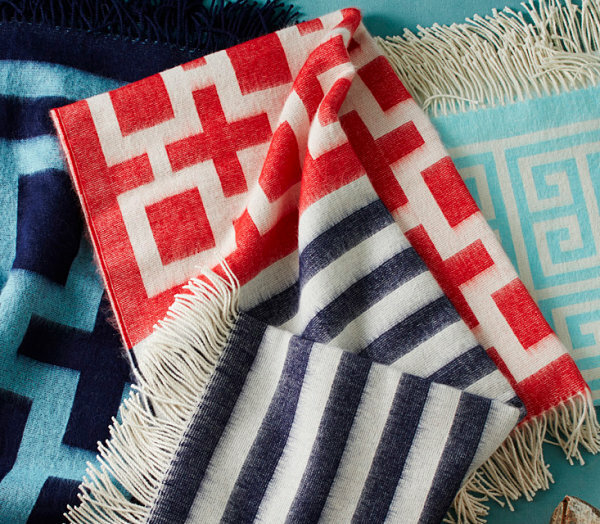 These weather-resistant items are perfect for outdoor seating. Bring on the semicircles, and stack them with pride! 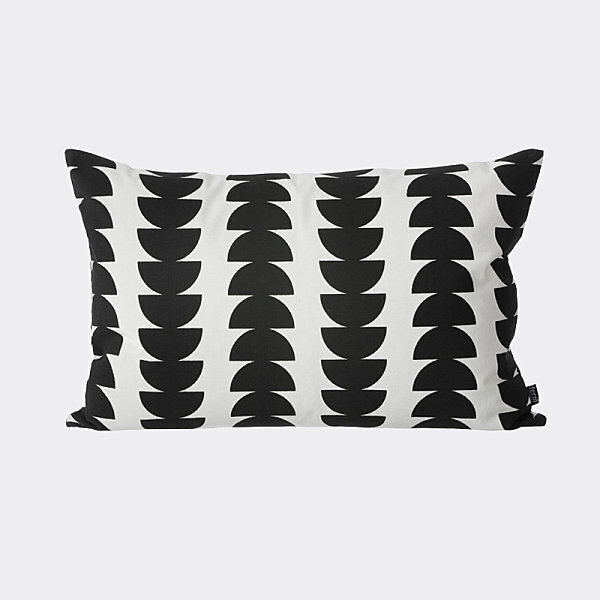 This Black Semicircle Cushion from ferm LIVING celebrates the power of numbers, as well as the power of geometric forms. 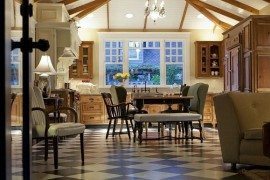 Not to mention, the black-on-white color palette is sure to get noticed. 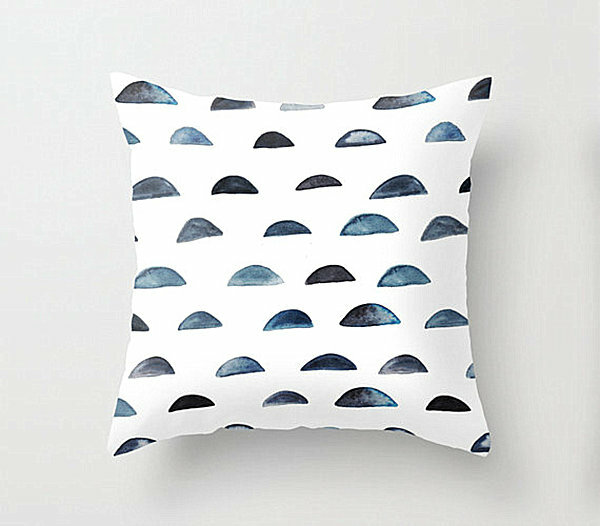 Semicircles are all over this season’s finds from ferm LIVING, such as the Inka Cushion, shown in grey below (the pillow on the far right). 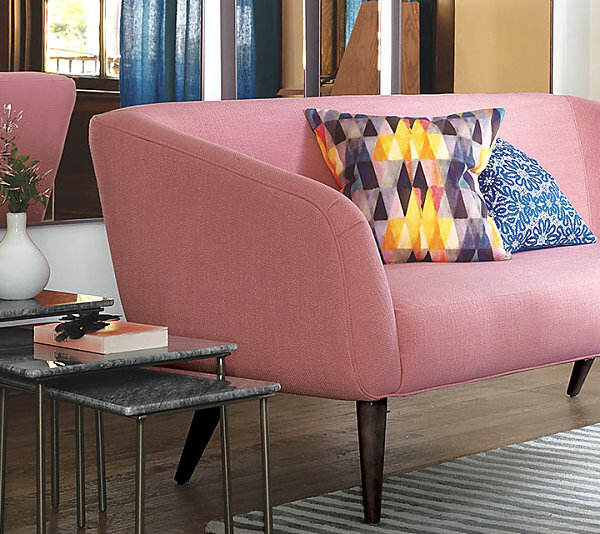 Note how the half circles combine with other forms such as triangles for a geometric design that’s as memorable as it is unique!